A marginal part of the increase, the report said, was caused by a rise in the exchange rates of foreign currencies used in borrowing against the US dollar, accounting for $0.4 billion. 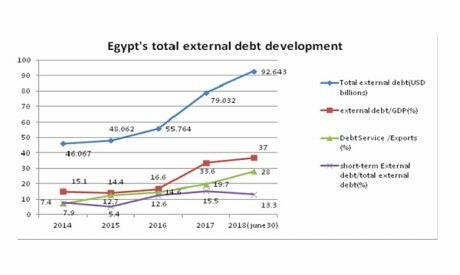 The bigger chunk of the increase, $13.2 billion, is the result of an increase in debt-servicing costs over the past year, including paid instalments of $11.1 billion and interest payments of $2.1 billion. Al-Swaify believes an important criterion for the safety of foreign debt is the ratio between short-term debt and total foreign debt, pointing out that “short-term debt is paid back within a year or less and bears more risks. The sum does not include a $3.3 billion Kuwaiti deposit that is due in 2018-19, according to Reuters, based on a government document. 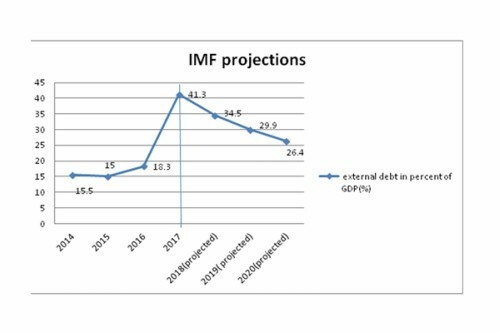 Total foreign debt is expected to reach $98.863 billion during fiscal year 2018-19, according to the document.